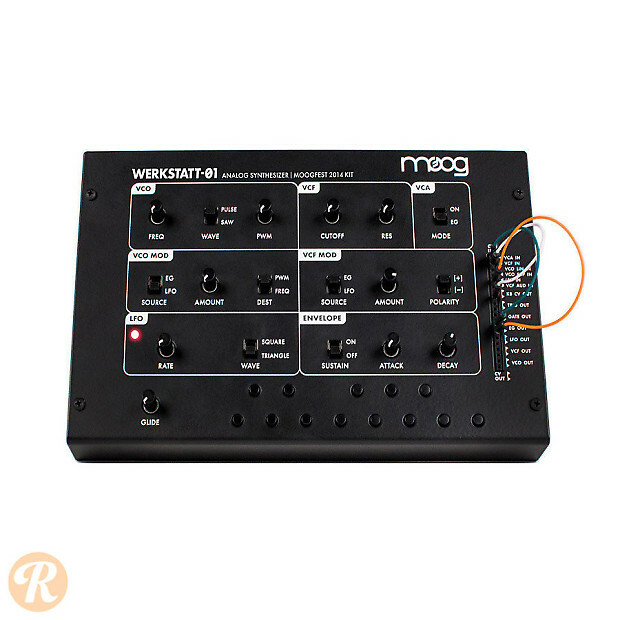 The Moog Werkstatt-01 was released during Moogfest 2014 as an educational DIY analog synth kit, almost like the littleBits Korg with authentic Moog modules. It includes a single voltage-controlled oscillator, with saw and pulse waveshapes and a Moog ladder filter. A breadboard patch header allows for a wide spectrum of sonic possibilities.